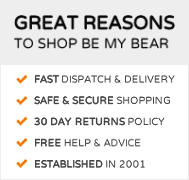 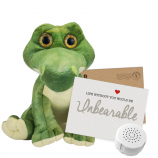 Send your loved one a Forces' Friend Bear to love and protect them! 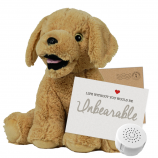 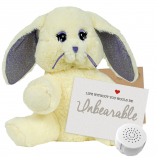 Our Forces' Friend bear comes pre-stuffed with a sound module allowing you to record a top secret message of up to 20 seconds for the recipient. 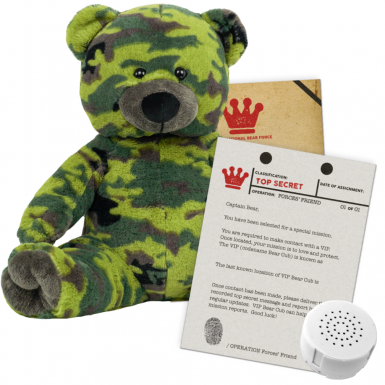 Also included are top secret mission instructions which you can fill out and customise before including with the gift. 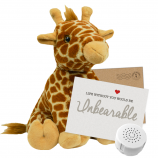 Forces' Friend Bear is a thoughtful and personal gift designed for all of the VIP bear cubs in our lives.